Home › Business › The Golden Circle. Why do we work? The Golden Circle, Apple products, The Law of Diffusion of Innovations and The Simpsons. Take a moment to answer that question before you continue reading. He takes one step further. The alignment of values and beliefs trancends business to business transactions. It also extends to the relationship between companies and their customers. He argues that all the great leaders and the great organizations think, act and communicate in the same way: the Golden Circle. 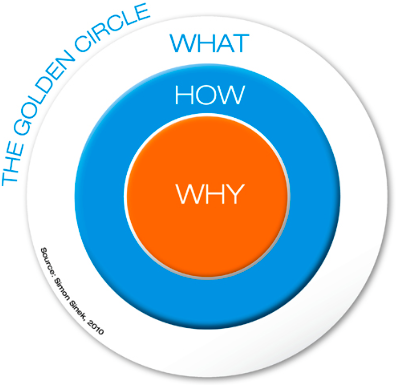 To my surprise the brightest student in class raised his hand and made an argument against the Golden Circle. He feels people don’t care about the why and even mentioned Apple as an example. He really thinks it is all about the product. Sitting in class with my MacBook on the desk, an iPhone in my pocket, an iPad in my bag and an iPod in my car parked around the corner… I had to raise my hand and point out to the keynote that introduced the first iPod. In my opinion that was the key turning point for Apple and its cult following. 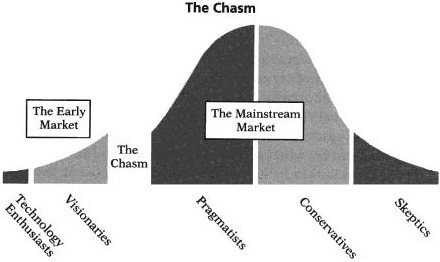 I do not think Apple products have to deal with the Chasm in the Law of Diffusion of Innovation. Circling back to Simon Sinek’s video, people who stand in line to buy new products or used to mark their calendars whenever Steve Jobs announced a date for a keynote did so because they believed in what Apple believes. Yesterday in class I said that the keynote introducing the iPod was not just selling the product. It was selling freedom. Back when my bulky $300 dollar Sony MP3/CD player lasted for only half my workout and would skip parts of songs whenever I moved too fast… here was a portable device that fits in my pocket, holds every song in my library, plays for 10+hours straight and never skips. Downloads 30x faster than USB and charges through firewire. Sign me up!! On the “how” component of the Golden Circle: My dad likes to say that when you take great pride in what you do, it shows. It doesn’t matter what it is… cleaning your bedroom, brushing your teeth or going to work. I think if I could teach my kids only one thing… that would be it. Sometimes when we get too deep in the daily grind, we lose focus and deviate from what is truly important in our lives. 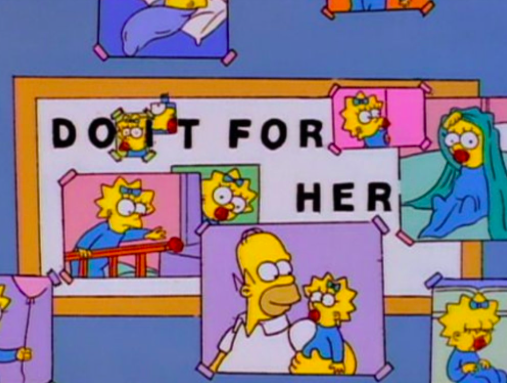 This reminds me of the only time I cried watching The Simpsons. What we do should never trump why we do it. Everyone knows what they do at work. Some know how… but how many really know why? Back when I asked my team to tell me why they come to work, almost everyone said “money”. Money is a result. A piece of paper. A poor motivator. Great leaders inspire action by taking money out of the equation and adding purpose. I hope reading this can serve as a reminder and hopefully lead to reflection. My next post will cover Myers-Briggs Type Theory (or Who we are).